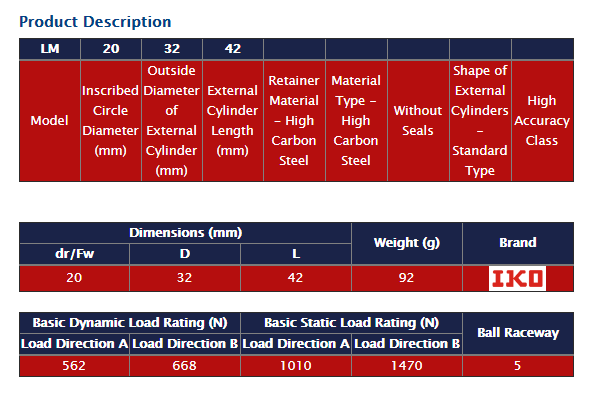 are available with and without seals, so the best linear bushing for the application may be selected. Linear Bushings made of stainless steel are also available. This type is suitable for applications where corrosion resistance is important. 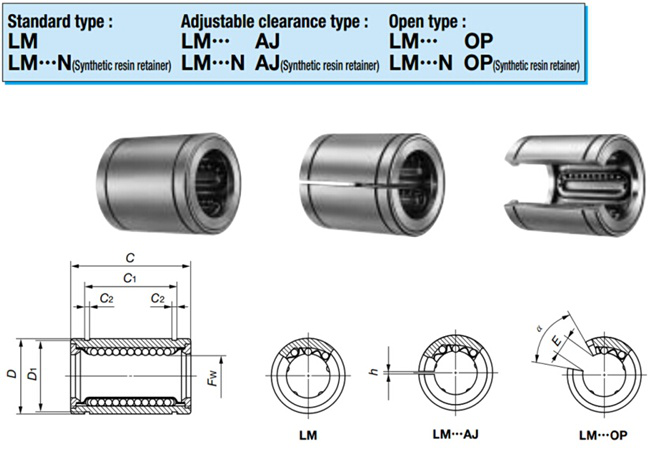 LM203242UU Linear Slide Bush bearing with seals on both sides is a high accuracy grade linear bushings. The series is mainly used in the USA, NB brand (Nippon Bearing Linear Systems), and made in Japan. Applications: Engineering hydraulic cylinders,Forgingmachines,Construction machinery, Auto shock absorber . Main features:Self-aligning,High temperature resistance,Carrying capability,Corrosion and Abrasion resistance,High precision,Minimum friction,High performance etc. 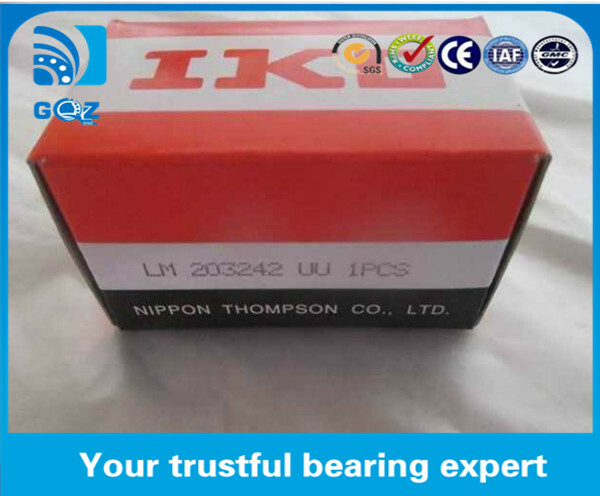 The Linear bearing adopt the international standard and national standard. 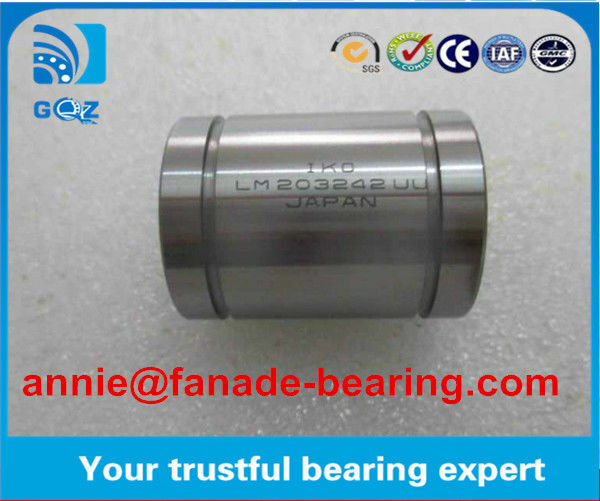 We can supply you bearing in high quality and competitive price. 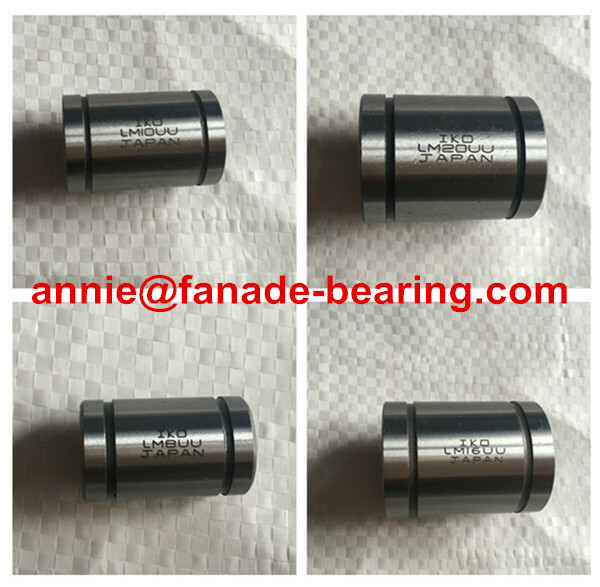 We can make the bearings as your drawings or samples,and if anything of interest to you,please feel free to contact us, thanks. Welcome to make inquiry and have a good cooperation.